After pimping Amazon delivery drones like an infomercial and throwing the F-35 program the ultimate softball, not to mention a series of other embarrassing screw ups, it looked like 60 Minutes was losing its luster. 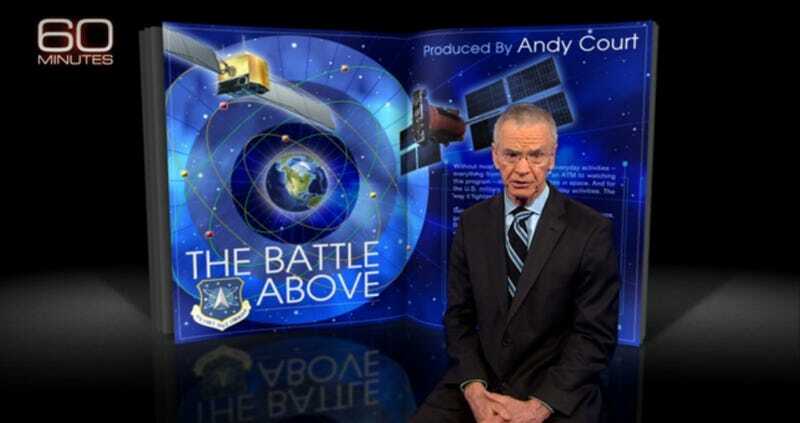 Yet last night’s extra-long segment on USAF Space Command and anti-satellite warfare was well worth watching. Click here to watch the piece at 60 Minutes webpage, make sure to click all four segments on the right sidebar. 60 Minutes covered an unusually large amount of material in this piece, checking off many of the boxes we discuss here at Foxtrot Alpha regularly, including satellite blinding lasers, GPS vulnerability, orbital manipulation and the shadowy X-37B , whose fourth mission is rapidly approaching. In all, the piece serves as a good basic primer on the fairly young history of anti-satellite warfare, where the tech could be headed and where vulnerabilities clearly exist. I highly recommend it.